Seen from afar, Craig Alan’s celebrity portraits seem made out of thousands of expertly placed paint dots, but as you draw nearer, you notice that those dots are actually tiny detailed human figures. Craig Alan’s “Populous” series was inspired by a bird’s eye view from his mother’s 6th story condo, in Orange Beach, Alabama. He was watching the people down at the beach and photographing them when he noticed that their tiny figures forming patters. 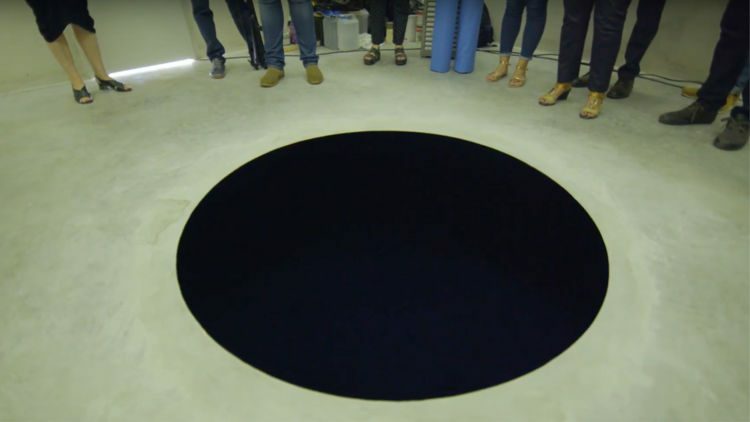 In one of his photos, the people appeared to have formed a eye, and the artist recalls that this was what first got his creative wheels turning. 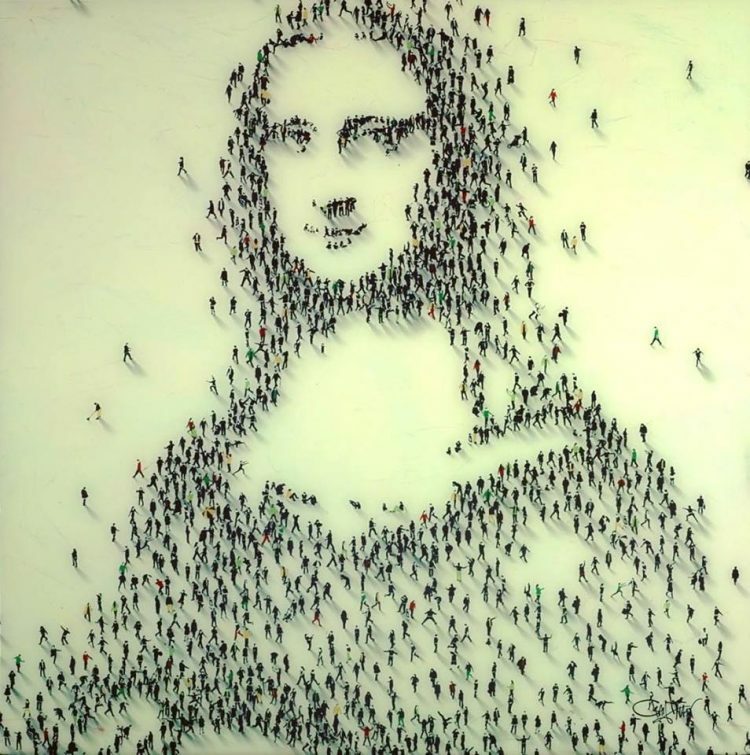 He started spray-painting tiny human figures on white canvases, positioning them in such a way that they and their shadows formed detailed portraits of some history’s most iconic personalities, from Michael Jackson to Marilyn Monroe. The intricate aluminum can sculptures of Noah Deledda look like the work of precise automated machines, but the Tampa Bay-based artist makes them all by hand, using only his thumbs to create dents and creases in the soft metal. 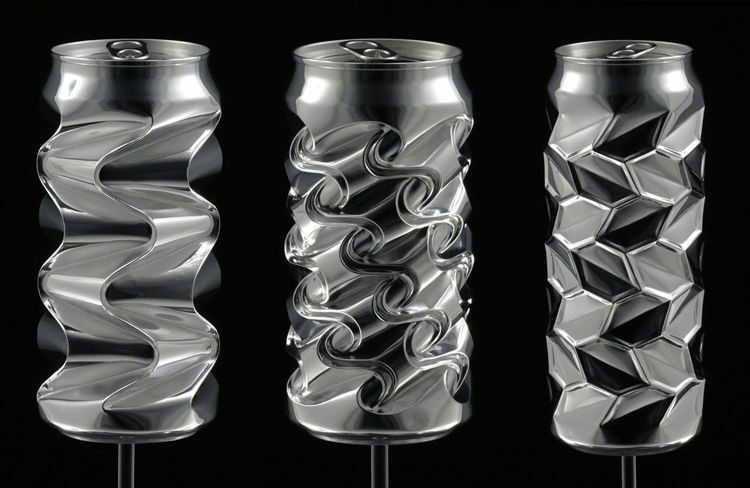 Looking at the perfect geometric patterns sculpted into these shiny aluminum cans, you’d be excused for thinking that Noah Deledda is actually a robot. Just look at them, there’s no way anyone could be this precise with their hands, let alone only their thumbs. 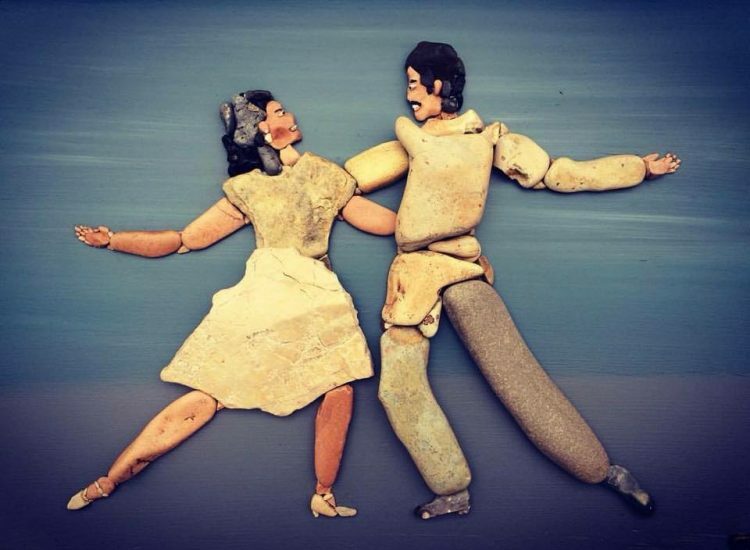 Which is why the talented artist has had to produce video evidence of the creative process, and prove that he doesn’t just use some kind of press to shape the recycled aluminum cans. 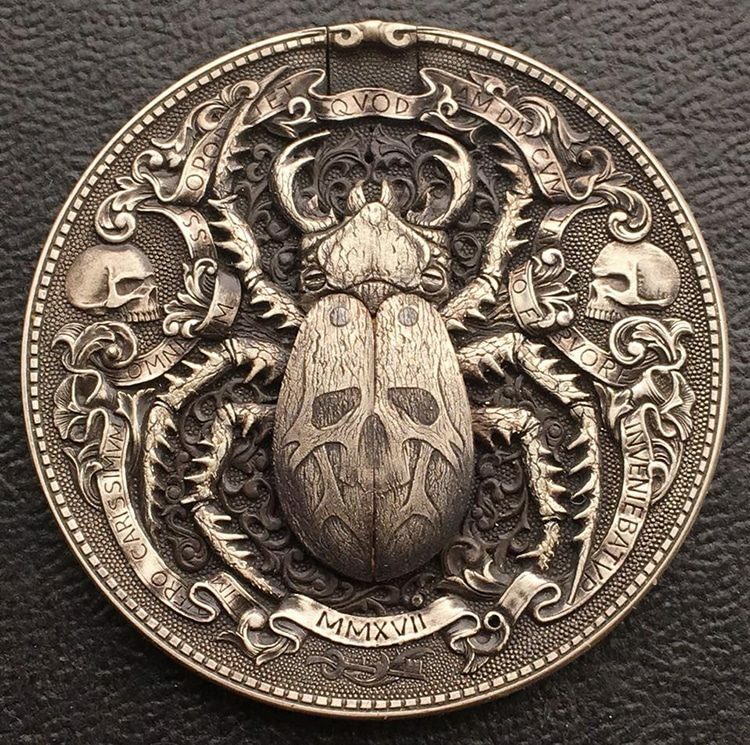 Looking at the work of Russian artist Roman Booteen, it’s easy to see why people consider him a master at hand-engraving coins, but what most people don’t know is that many of his masterpieces also feature jaw-dropping mechanical surprises. One of Roman’s latest creations is a prime example of why people are so blown away by his skill. It’s a silver dollar featuring the detailed carving of a knight and woman looking at a indentation on a wall. In a video posted on his Instagram, the artist reveals that the knight’s sword is actually removable and can be inserted into a little notch on the edge of the coin to slide open the wall indent and reveal a golden chalice. And this is just one of the cool things that Roman Booteen has made over the years. 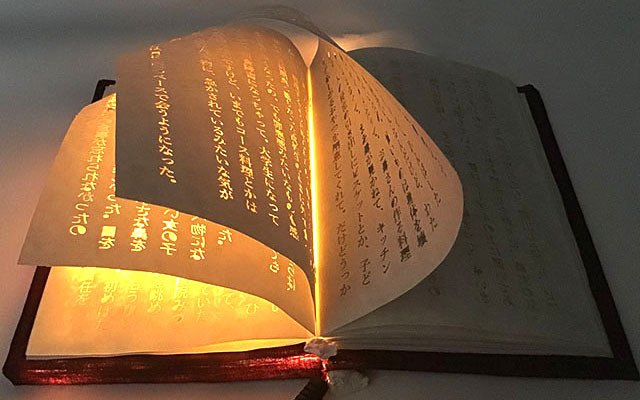 A Japanese experimental artist has captured the imaginations of thousands of fantasy and anime fans by creating a seemingly magical book in which the letters keep shining brighter and brighter as the reader approaches its conclusion. Uka Ohashi, an experimental novelist currently studying design at an art university, created her amazing book as a class assignment, based on an actual novel that she wrote. The original idea was to incorporate the concept of glowing letters in an entire book, with the illuminated pages making up the conclusion and lighting up brighter and brighter as the reader approached the end. However, time was of the essence, so she only made the conclusion as a proof of concept. It still turned out amazing! Arnold Schwarzenegger has been honored with several statues throughout his long and successful career, but few as impressive as the one recently carved by wood sculptor James O’Neal out of a single black oak trunk. Standing at 1.88 meters, the statue took O’Neal six months to complete, and bears an uncanny resemblance to the “Austrian Oak” in his prime years, when he won back to back Mr Olympia titles. From his signature vacuum pose, to his 70’s hairdo and even the veins on his arms, the sculpture captures the look of Arnold Schwarzenegger almost to perfection. 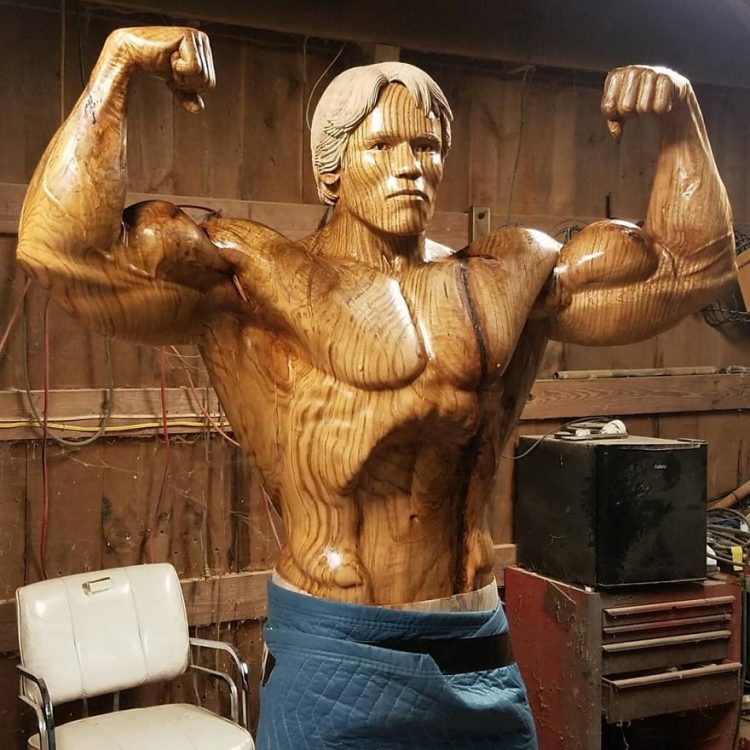 The entire process of shaping the black oak trunk into an ultra-realistic sculpture of the bodybuilding legend was documented on James O’Neal’s Instagram. 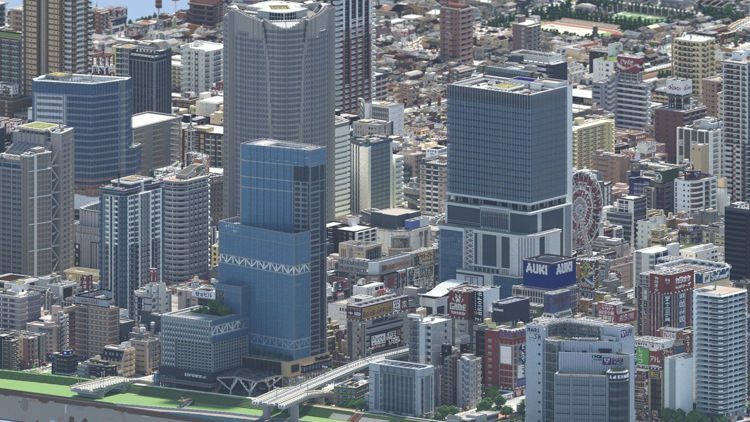 If you’re looking for someone to make a realistic, three-dimensional portrait of your pet cat using felt wool, you’ll have a tough time finding someone better than Wakuneco. Just have a look at what she can do with a needle and wool thread. Looking at some of the feline portraits created by the talented Japanese artist, it’s hard to believe they are made of felted wool and not taxidermy masterpieces. 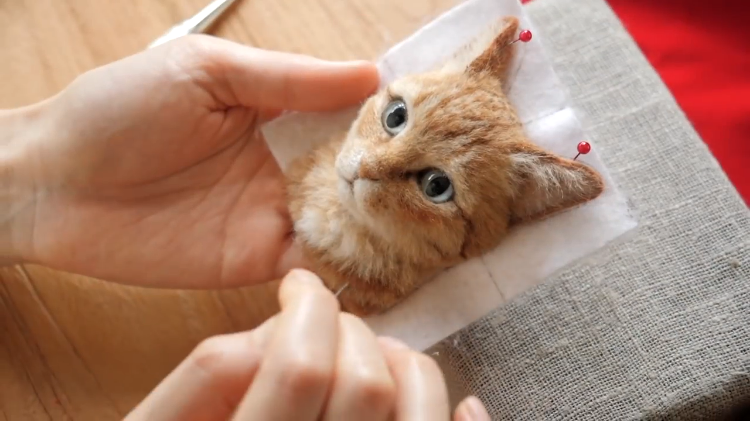 To achieve this level o realism, Wakuneco – which translates as “frame cat” – spends hours on end poking at wool with a needle to create solid layers that mimic cat fur, applying realistic glass eyes and finally adding the whiskers. After everything is just as she wants it, the 3D portrait is framed and sent to the owner who commissioned it. 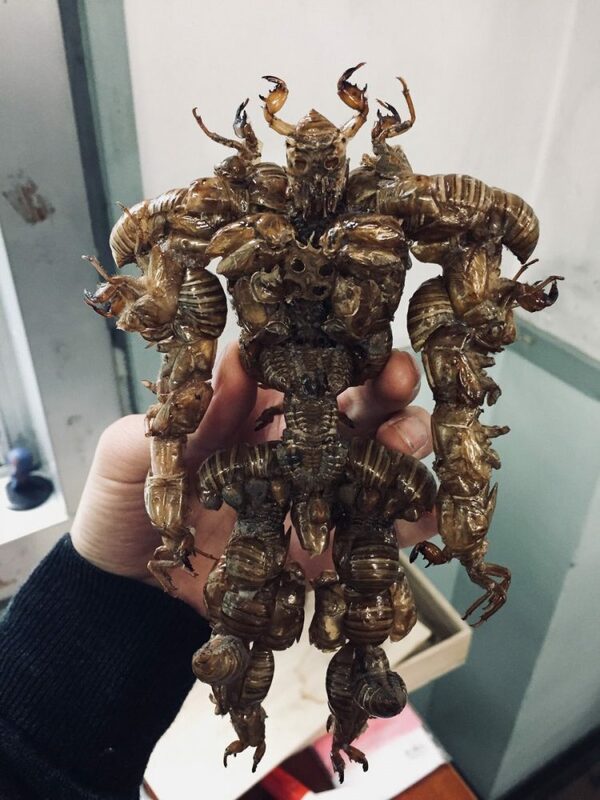 A Japanese high-school student recently got his five minutes of fame on Twitter after posting photos of an incredibly detailed action figure he made out of around 300 discarded cicada shells. 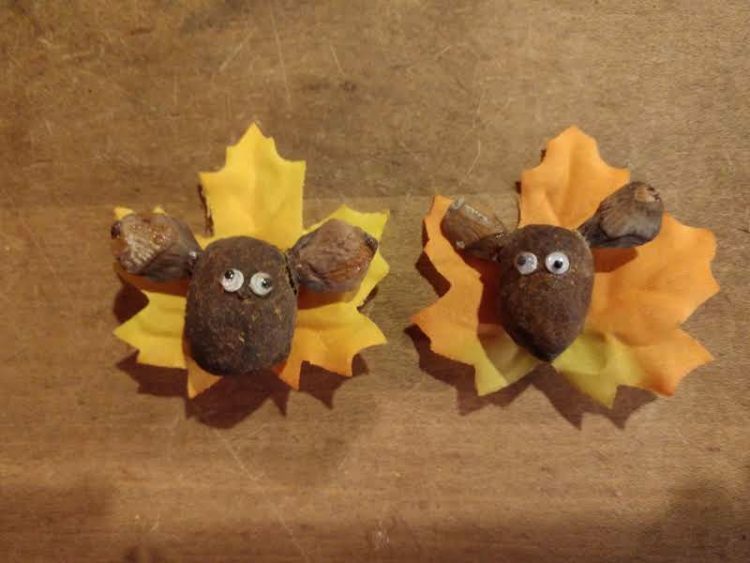 Twitter-user @ride_hero came up with the idea of using discarded cicada shells for artistic purposes after accidentally stepping on one at school. Looking at the shattered shell, he thought to himself “what a waste” and challenged himself to come up with a way of reusing all the discarded cicada shells at his high-school. Evening Cicadas, or Higurashi, are very common in Japan during the summertime, and they tend to shed their shells almost everywhere, so it wasn’t hard for @ride_hero to collect hundreds of them in his high-school yard alone. After finishing his AO exams, the high-school senior needed to kill some time over the summer vacation, so he started experimenting with the collected cicada shells. Maybe “stone paintings” isn’t the best phrase to describe the amazing artworks of Stefano Furlani, but it’s so unusual that I just didn’t know what to call it. The Italian artist basically searches for geometrically appropriate stones on the beach and arranges them to create complex compositions. Stefano Furlani discovered this fascinating art form while playing with his son Davide, when he was three years old. They would scour the beach for strangely shaped stones and then assemble them into all kinds of shapes and designs, on the sand, under an umbrella. As time passed and they both got better at this ‘game’, they started creating more and more intricate and detailed artworks, and at one point, Stefano started feeling disappointed that the artworks he and his son had worked so hard to create got washed out by the sea or trampled on by other people. So he started creating these stone compositions on hard canvases and preserving them as proper works of art. 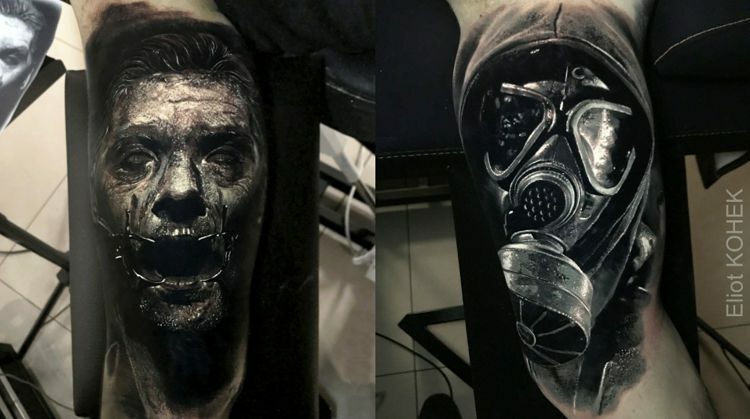 Most people spend a considerable amount of time deciding what design or phrase they want permanently inked on their bodies, but one tattoo artist asks his clients to leave that decision to him. Several hundreds of people have already allowed him to ink the phrase of his choice on them without even knowing what it reads beforehand. Monty Richthofen, a.k.a. 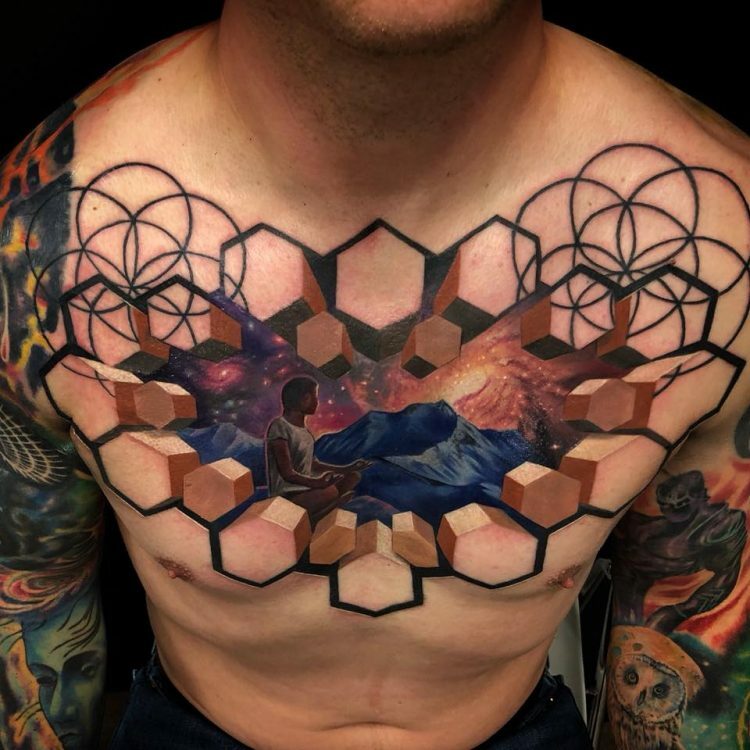 Maison Hefner, had only been doing tattoos for a year and a half in 2017, when he started “My Words, Your Body”, an artistic project where he tattoos wiling adults with motivational quotes and mantras without revealing what they are before permanently inking them. Clients only decide what part of their body they want tattooed, but the tattoo itself is Hefner’s choice. He has a conversation with every person and based on their discussion and his experience, he picks one of around 5,000 different phrases he has scribbled in five notebooks. 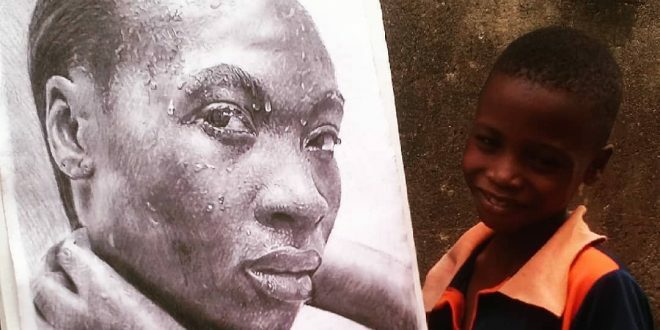 Some artists spend decades honing their skills before even tackling hyperrealistic art, but 11-year-old Kareem Waris Olamilekan is already a professional artist with some stunning hyperrealistic artworks in his portfolio. Kareem, who hails from Lagos, Nigeria, started expressing his artistic talents when he was around six years old, by drawing his favorite cartoon characters. His big break however, occurred two years later, when he and his family moved houses and he discovered the Ayowole Art Vocational Academy. His talent for drawing was evident, and despite facing great financial difficulties and struggling to buy basic artistic supplies, the young boy managed to improve his skills to the point where he is now able to draw detailed photo-like drawings.